When Paul Newman helped start the first Westport Farmer’s Market, he began a ripple effect of good which I hope to continue to spread. That was when we first began buying, cooking and eating local. Suddenly we found ourselves with way more produce trimmings than we had before. 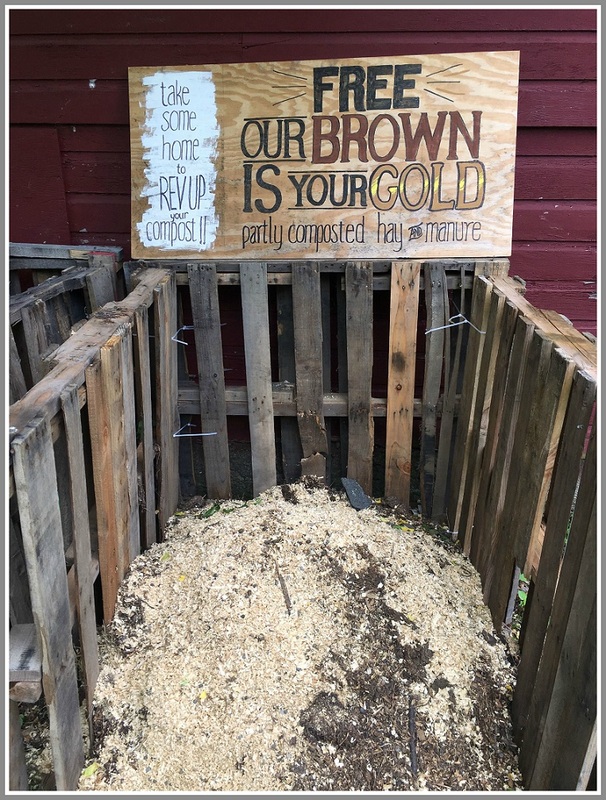 So we started composting. We had so much of the rich black stuff, we put in a veggie garden of our own. Thanks to the composting, our weekly trash pickup shrank by a third, and we saw a dramatic difference in the way our plants grew. Soon I was not just spreading compost, but spreading the word. I even took the University of Connecticut Master Composter’s course so I could learn more. I also began volunteering at Wakeman Town Farm, where Westporters can see compost in action on a bigger scale. In compost and in life, I agree. On Monday night, Alice Ely, UConn Master Composter, will be at Wakeman Town Farm between 7 & 8 pm, to explain the basics and answer questions for would-be composters. It’s free, but click here to register. Alice Ely may well be the hardest working volunteer and committee member at Wakeman Town Farm and I don’t think our gardens would exist without her! She is indefatigable, incredibly knowledgeable and beyond dedicated. Anything you want to know about gardening, composting and monarch butterflies, Alice is The One! Plus she’s a lot of fun! Your post showed up in my feed as a suggested site. When I saw you promoting compost, I had to read what you wrote. As a city dweller for most of my life (have lived in the country now for about 7 years) I’ve been composting for 40 years. Composting can be as simple as tossing your kitchen scraps in a corner of the yard or as organized as the bin, the additives, etc. as you want. The main feature is to return (non-animal-based) food scraps back to the soil, which the miniature ecosystem that develops breaks it back down into soil. I keep a coffee canister on the end of the counter to put the scraps in, then when it’s full, take it out to the pile. I can attest that compost pile has no odor (unless you put animal products in it!) I love the fact that you named your pile Paul Newman. I’m sure he’d be pleased to hear it. Cheers.